The Winnipeg Rifles have recruited a few good men. 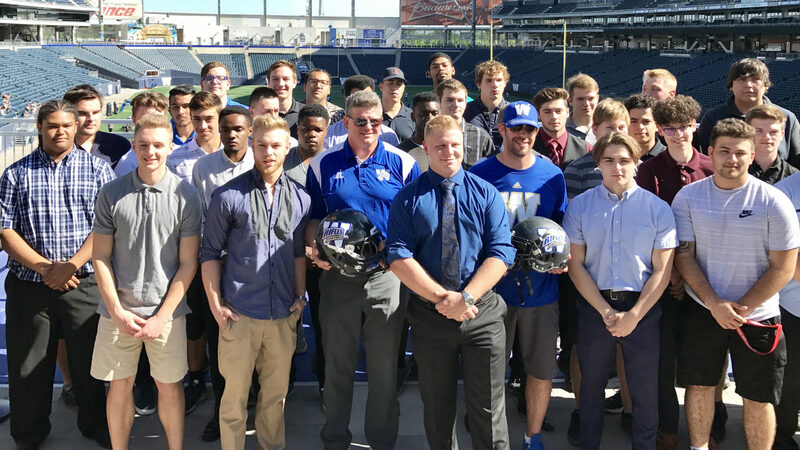 The Canadian Junior Football League squad brought aboard 46 new players on Saturday – their 2017 Signing Day – and it was no coincidence the formal part of the event was held at Investors Group Field with the Winnipeg Blue Bombers on the field practising. The two organizations have a growing on-and-off-the-field partnership, after all. 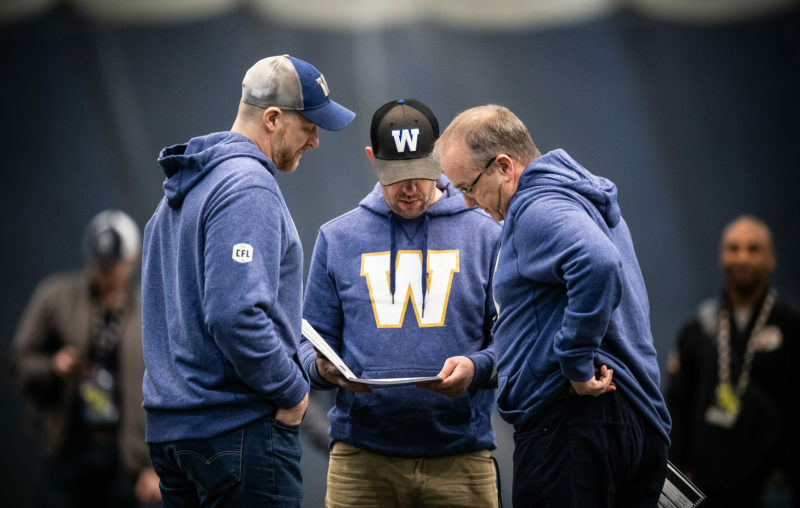 Bombers offensive coordinator Paul LaPolice met with Rifles coaches for four hours last month, and four Rifles are participating in Bombers training camp in receivers Xander Tachinski and Brendan Naujoks, running back Michael Ritchott and defensive back Andrew Ricard. There’s also this: a healthy Rifles club benefits the Bombers, as they hold the rights to their players should they develop into legit pro prospects. “This is a goal of ours,” said Rifles head coach Geordie Wilson at a press event on Saturday. 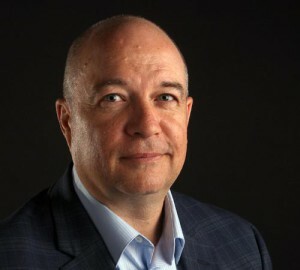 The list of new recruits includes 28 products of the Winnipeg High School Football League, seven from the Midget Football League of Manitoba, four from U Sports programs, three each from the Manitoba Major Junior Football League and Saskatchewan high school teams, and another from the British Columbia Provincial Football Association. After Bombers practice had finished Saturday morning, the four Rifles participating – Tachinski, Naujoks, Ritchott and Ricard – spoke with some of the new recruits. 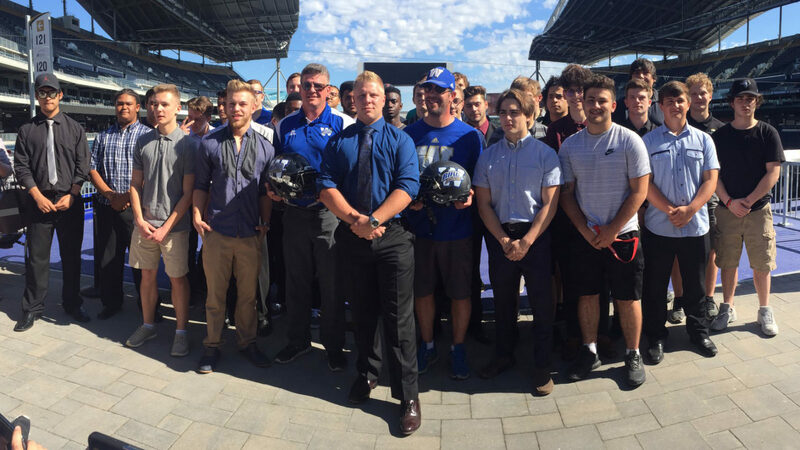 “They’re fitting in,” said Bombers GM Kyle Walters. “Every coach at every level will say if you stay healthy and learn what you’re supposed to do, the coaches are going to take you and you’re going to keep taking reps. All four of these guys have done that. They’re sharp kids, they’ve learned the playbook and they’ve earned the right to keep taking reps. More importantly, they’re staying healthy. 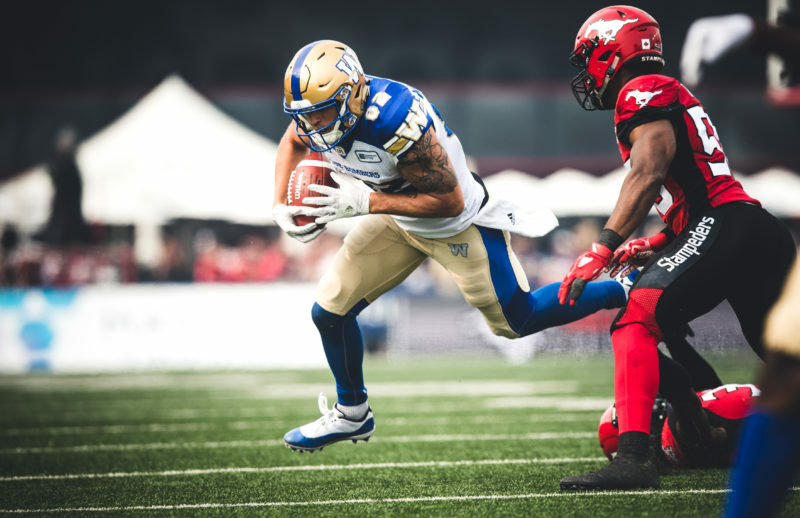 The Bombers staff will meet over the next few days to determine the roster for next Saturday’s preseason game in Saskatchewan against the Roughriders, and it’s possible the Rifles may see the field in that game. “Whether they stick with us or don’t, I guarantee you they’re going to go back as better football players, which is what it is all about here,” said Walters. 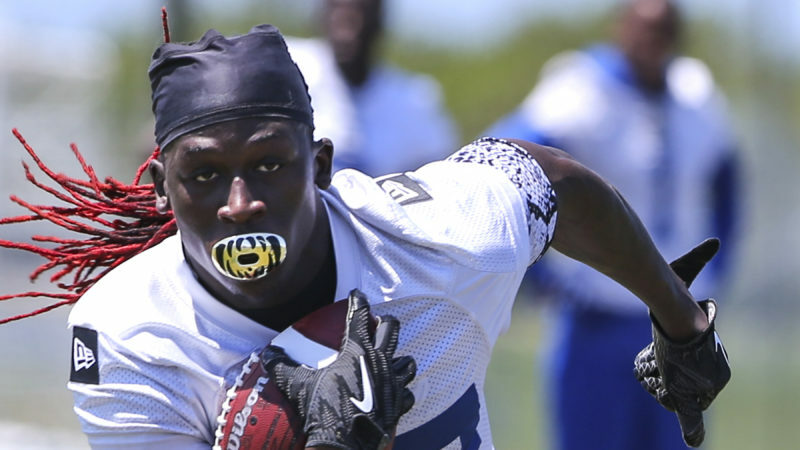 “It’s about the Bombers and the Rifles working together to make those players better for the Rifles organization. 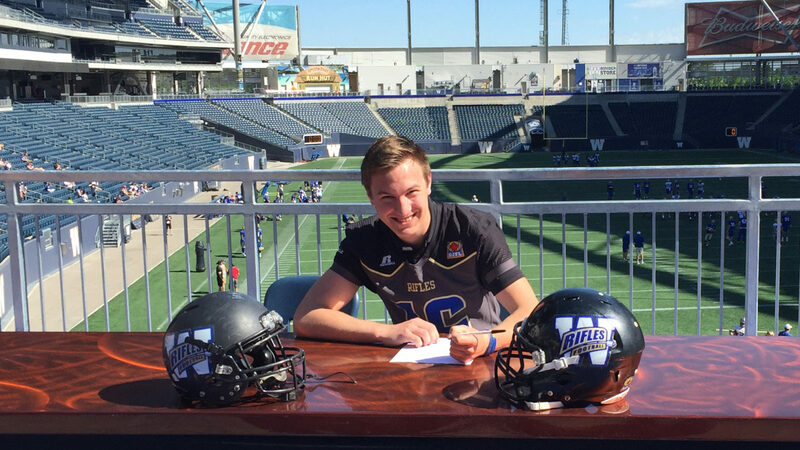 The Winnipeg Rifles of the Canadian Junior Football League announced the addition of 46 new players on Saturday, their 2017 Signing Day.